I’m a little worried that I might have suggested in previous installments of this “Decline of Buddhism” series that the downfall of the Tibetan empire was a direct result of the assassination of the Tibet emperor Lang Darma. This may be true in a sense, but many Tibetan historians (and most modern ones) see this as just one stage in a series of unfortunate events. The next stage was the division of the empire between two disputed successors. Almost every previous succession to the Tibetan imperial throne had been disputed, but one side had always come out on top. This time neither side was strong enough to subdue the other, and so the country was split in two. The next stage of disintegration was a series of uprisings (the Tibetan word is kheng log) against the prevailing authorities, setting Tibetan clan against clan. The first of these uprisings happened just around the corner from Dunhuang, the home of our manuscripts. While Tibet was splitting in two in the mid-ninth century, a civil war broke out in the Gansu region, near the border with China. An aristocrat from the Ba clan called Khozher gathered his own army and set himself up as a local warlord. He spurned the authority of the local Tibetan governor, claiming that the governor’s clan (the Dro) had orchestrated the murder of Lang Darma, and that it was his duty to take revenge on such rebels. Khozher also portrayed himself as a kind of nationalist, fighting against the resurgent Chinese forces in the area, but in his brutality (he had every male in the whole region put to the sword) he left little hope of a better alternative. The people turned against him, and most of his army deserted. The incorrigible Khozher set out for China, boasting that we would return with hundreds of thousands of Chinese soldiers. But when he offered his submission to the Chinese emperor in return for an imperial post, he was rejected. 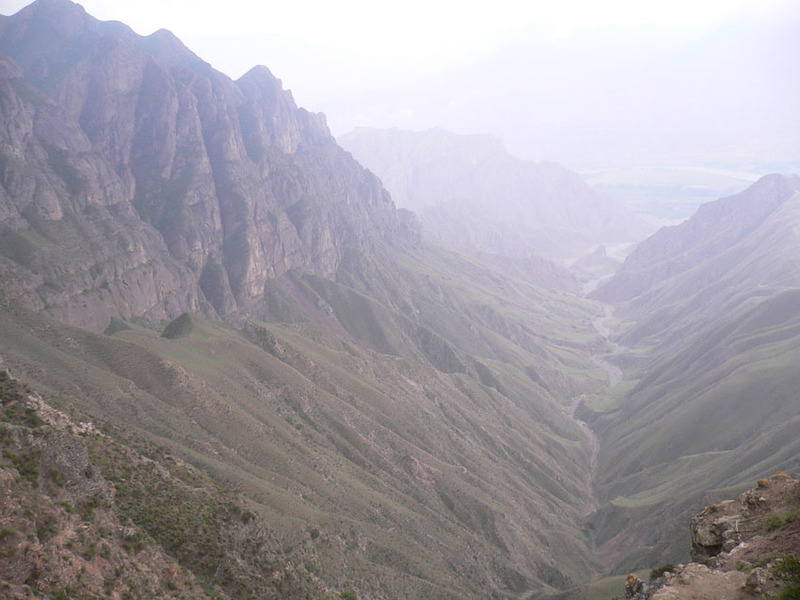 Khozher was finally ousted when the a local Chinese warlord swept through Gansu province. Though no longer a force to be reckoned with, he continued to cause trouble, and when he was eventually, and inevitably, put to the sword, his severed head was taken to Chang’an as proof that this troublesome warlord was finally dead. Such was the first uprising, and the end of Tibetan rule in Gansu. Recently we looked at a prayer for the protection of Tibet that seemed to date back to the Tibetan imperial period. This time let’s look at a prayer that seems (to me) to date from the troubled period of the uprisings and the ‘dark age’ that followed. This prayer is actually part of a Vajrayāna empowerment ritual (IOL Tib J 752). That in itself suggests that it probably comes from the tenth century, when most, if not all, of the tantric manuscripts at Dunhuang were written. This time, instead of a prayer to eliminate the opponents to Tibet, we have a prayer to pacify the troubles within Tibet itself. “Please bring peace swiftly,” is the plea, “to the conflicts in the kingdom of Tibet.” The key word here is “conflicts”, which is khrug pa in Tibetan, defined in various dictionaries as a fight, dispute or conflict, and particularly in the Great Treasury of Words, as “a mixing up of the established order”. This is, I think, comparable to the idea of “uprisings” (kheng log). And here you can read about a prayer for peace in Tibet in troubled times a thousand or so years later. * Note that calling Tibet a “kingdom” (rgyal khams) is not unprecedented, and we also find the same phrase bod rgyal khams in the prayers for the Dega Yutsal monastery (PT 16). The phrase that is translated here as “a firm helmet” (dbu dmog brtsan) also appears frequently in PT 16, as well as in some of the pillar and rock inscriptions from Central Tibet. It has powerful resonances of the divine right of the Tibetan tsenpos, difficult to communicate in translation. I detect in this prayer a hope that the tradition of the Buddhist tsenpos will be revived by some unnamed king. Vitali, Roberto. 1996. The Kingdoms of Gu.ge Pu.hrang: According to mNga’.ris rgyal.rabs by Gu.ge mkhan.chen Ngag.dbang grags.pa. Dharamsala: Tho.ling gtsug.lag.khang lo.gcig.stong ‘khor.ba’i rjes.dran.mdzad sgo’i go.sgrig tshogs.chung. Vitali, Roberto. 2004. “The role of clan power in the establishment of religion (from the kheng log of the 9-10 century to the instances of the dByil of La stod and gNyos of Kha rag).” In The Relationship between Religion and State : (chos srid zung ‘brel), in Traditional Tibet, edited by Christoph Cuppers. Nepal, Lumbini International Research Institute. Petech, Luciano. 1983. “Tibetan Relations with Sung China and the Mongols.” In China Among Equals: The Middle Kingdom and its Neighbours, 10th–14th Centuries, edited by Morris Rossabi. Berkeley and Los Angeles: University of California Press: 173–203. Iwasaki Tsutomu. 1993. 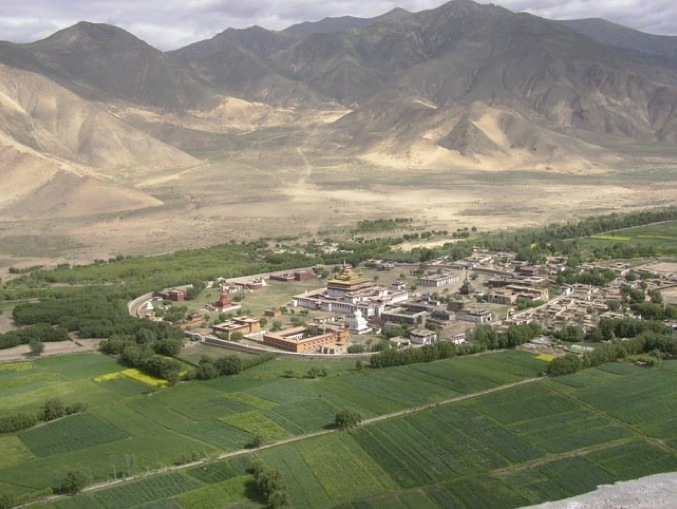 “The Tibetan Tribes of Ho-hsi and Buddhism during the Northern Sung Period”. Acta Asiatica 64: 17–37. These days it’s easy to think of Tibetan Buddhism as an international religion. We usually see this as something that came about in the second half of the twentieth century, when so many Tibetan lamas fled the country. Before that time, Tibetan culture is often presented as if it was enclosed within the mountain fastness of Tibet, taking its own path in splendid isolation. But if you know a bit of history, this picture doesn’t look quite right. Tibetan Buddhism was very popular at the courts of the Mongols and the Manchus, becoming for centuries the religion of choice for the ruling classes in China. And the religion of the Mongolian people is also essentially Tibetan, as a result of great missionary efforts on the part of Tibetan lamas. And then there are our Dunhuang manuscripts. Dunhuang was, of course, located at the northeastern end of Great Tibet, the old Tibetan empire, and even after the fall of the empire many aspects of Tibetan culture remained. But while neighbouring areas like Tsongka and Liangzhou had a large Tibetan population, the residents of Dunhuang were always mostly Chinese. So questions arise — Who actually wrote the Tibetan manuscripts found in Dunhuang? Who was practising Tibetan Buddhism there? There are no simple answers, but I think we can say that most of the time it wasn’t the Tibetans. Though it’s written in Tibetan this is certainly a Chinese name. The first part of it is a rank, rather than a proper name: phu shi which is almost certainly Fushi 副使, an official title (found elsewhere in 10th-century Dunhuang) for the third-highest ranking district official in the Chinese government of tenth-century Dunhuang. So, this Tibetan treatise on the practice of Mahāyoga meditation was copied down on an (incidently rather nice quality) scroll by a Chinese official at Dunhuang. Other Tibetan tantric manuscripts are written by Khotanese, by Uighur Turks, sometimes, even by Tibetans. Tibetan Buddhism was clearly by this time a genuine international religion, a cultural point of contact between a great many ethnically diverse people. How did this happen? Well, when the Tibetans occupied Dunhuang (and other non-Tibetan speaking areas) they forced the locals to learn Tibetan. Official correspondence and legal documents had to be written in Tibetan, and the mass-produced sutras that the emperor Ralpachen funded (see here) were mainly written by Chinese locals. After the Tibetans were kicked out, locals carried on using Tibetan to draw up contracts and write letters. The Tibetan language became a lingua franca for Central Asia — one of our Tibetan manuscripts, for example, is a letter from the (Chinese) ruler of Dunhuang to the (Khotanese) king of Khotan. And these locals, like our Chinese official, found that their second language, Tibetan, was also the ideal language for learning about the newest developments in tantric practice (which had only a very limited circulation in Chinese translation). The Tibetan successor states in Liangzhou and neighboring areas were pro-Buddhist. When the Tanguts finally occupied this region they simply continued to support an already long-established Buddhist church. Furthermore, Tibetan monks were quite active at the court of the Sung dynasty in China, where they assisted in the translation of several important Buddhist texts into Chinese. When the Mongols finally supplanted the Tanguts, they did not disturb the existing Buddhist establishment; on the contrary, they supported it as strongly as their predecessors had. 1. Christopher Beckwith. 1987. “The Tibetans in the Ordos and North China.” in Christopher Beckwith (ed. ), Silver on Lapis. Bloomington: The Tibetan Society. pp.3-11. 2. Gray Tuttle. 2007. Tibetan Buddhists in the Making of Modern China. New York: Columbia University Press. Can monks do magic? Should they? We often picture monks (or at least the ideal of the monk) firmly in the setting of the monastery, either seeking enlightenment through study and meditation, or carrying out in the affairs of the monastery. But magic? Well, it seems that throughout most of the history of Buddhism the answer to the first question has been yes, and to the second usually why not? In fact, the Buddhist canon contains enough spells to rival the repertoire of Merlin, Saruman and Harry Potter put together. And there’s nothing mysterious, dubious or underhand about it. Buddhist monks have traditionally lived apart from, yet among lay people, who support their way of life. And ordinary people have turned to the monks for help with their everyday needs, whether serious calamities like illness, the complications of childbirth and spirit possession, or the questions that are answered by astrology and divination. Buddhist monks faced competition from the Brahmins in India, from the Bön and Shen in Tibet, and from the Daoists in China. They all had their spell techniques – and if they were to win the hearts and minds of ordinary people, the Buddhists would need spells too. Spells are written to be used, of course, so it’s interesting to look at an actual book of spells that was owned by a Buddhist monk – one of our 9th or 10th century Dunhuang manuscripts, IOL Tib J 401. That funny writing at the top of this post, that looks like the “outline” effect of my old word processor is the cover of a book of spells, on which a monk has written his name in big letters. You can’t miss it: “This is the ritual manual of Bhikṣu Prajñāprabhā.” Well, through the twists and turns of interdependent origination, this is now the ritual manual of the British Library, and more generally, of everyone who has a web connection and an interest in such things. A fire puja (also called homa), which cures insanity. Fire pujas are found in many religious traditions in India, and they travelled with Buddhism to Tibet, China and Japan. In this spell the monk throws metal filings into the fire nine times – causing a dramatic series of flashes, I’m sure. Then five ritual daggers are stabbed into the ground as if pinning down a demon. Thread-winding magic for “men with obstructed water” and “women with inverted wombs.” The monk knots and unknots the red thread several times while reciting mantras. In the end the thread is flung into the road – just as in the traditional Tibetan way of disposing of the thread cross. Lift up the frog, and if a golden liquid emerges from under it, they will definitely recover. If it is merely moist, then they will recover before too long. If there is only meat with gluey flour, they will be purified by the end of the illness. It is not necessary to do the ritual again. If there is only gluey flour, break it up and do the ritual again. Prasena divination. This special kind of divination involves calling down a deity to answer questions put to it. In the ritual in this spell book the deity is called “the sky-soarer” or the Khyung (a Tibetan cousin of the Indian Garuda). The deity speaks through a “pure” (that is, pre-pubescent) child, or shows that child visions in a mirror, or on the flat of his own thumb. Though such rites of spirit-possession might seem “shamanic” they are described in Indian scriptures like the Amoghapāśa Sutra and the Questions of Subāhu, and prasena is apparently an Indian word, though no-one seems quite sure what it might mean (though Michel Strickmann had a good go at it). Prasena (often simply known as “pra”) has a long a fascinating history in Tibet, including being used in the quest for the present Dalai Lama after the death of his predecessor, for example (see Lama Chime Radha’s article). The youth with five locks is lovely to behold. Mañjuśrī come near and treat me with kindness. 1. Cantwell, Cathy and Robert Mayer. 2008. Early Tibetan Documents on Phur pa from Dunhuang. Vienna: OAW. 2. Chime Radha, Lama. 1981. “Tibet.” In Carmen Blacker and Michael Lowe (eds), Oracles and Divination. London: Random House. 3-37. 3. McBride, Richard. 2005. “Dhāraṇī and Spells in Medieval Sinitic Buddhism.” JIABS 28.1: 85–114. 4. Skilling, Peter. 1992, “The Rakṣā Literature of the Śrāvakayāna.” Journal of the Pali Text Society 16: 109-182. 5. Strickmann, Michel (edited by Bernard Faure). 2002. Chinese Magical Medicine. Stanford, California: Stanford University Press. Note for readers of Tibetan: What is a no pyi ka? The front cover of the spell book says bIg kru prad nya pra ba ‘I no pyi ka. I hope that most will agree that the name is probably Bhikṣu Prajñāprabhā, but what is a no pyi ka? I first came across the word in a poetical passage by Jigme Lingpa (at the beginning of his Pad ma dkar po) where he calls it “the essence of hearing, thinking and meditating” (thos bsam sgom pa’i snying po no pi ka). The term is much more common the Dunhuang manuscripts, and an interpretation was first suggested by Kenneth Eastman in 1983, when he noted that the Tibeto-Sanskrit glossary in Pelliot tibétain 849 glosses it as sgrub thabs – the Tibetan word that we usually consider a translation of the Sanskrit sādhana, a manual for ritual and/or meditation. Robert Mayer and Cathy Cantwell, in their 2008 book on Phurba manuscripts, suggest (with thanks to Matthew Kapstein) that the probable origin of all this is a Sanskrit term sādhanaupayika. Thus sādhanaupayika becomes nopayika becomes no pyi ka. This would be very neat because we thus get to the original Sanskrit term behind the Tibetan word sgrub thabs: sādhana = “accomplishment” = sgrub, while aupayika = “means” = thabs.